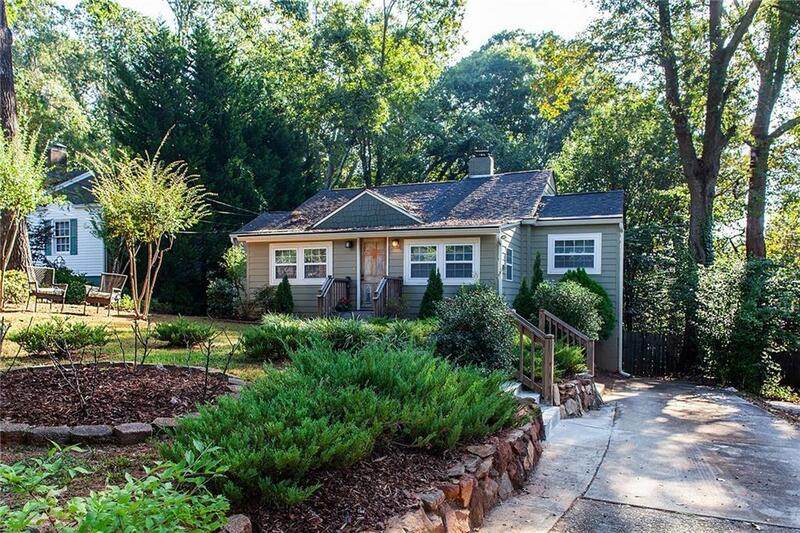 Charming renovated cottage on fabulous deep wooded lot in quaint Midway Woods neighborhood. Two larger bedrooms and 1 renovated bath, plus bonus room/office. Newly renovated expanded kitchen. Addition to the front of the home allows for large dining room and expanded living area. Large back deck overlooks huge fenced yard and mountain like view.